I recently co-sponsored a promotion where I gave out dozens of free tickets to low-income Blacks to learn how vaccines are destroying them and it received such great and very touching feedback. Lives were saved and parents finally learned the truth about these lethal injections which govt and Big Pharma falsely claims are "safe and effective". Based on the great responses I received, I decided to do another promotion :) I am giving out 12 free tickets for any low-income Black family here in Atlanta to go see the groundbreaking film "Vaxxed" when it shows here in Atlanta on August 2nd, 2016 at 7:30pm. 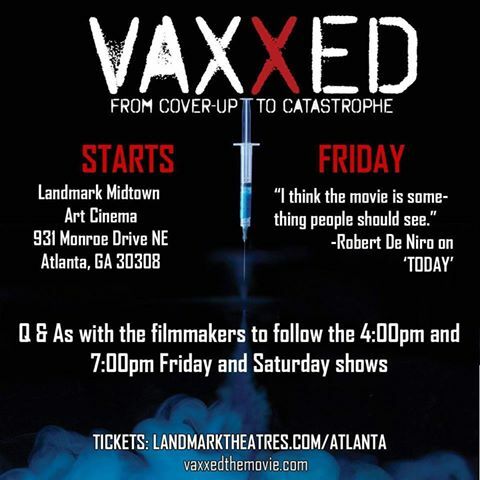 The film exposes the vaccine fraud at the CDC which is destroying millions of people, particularly African Americans who have a 167% to 240% increased risk of autism from vaccines. It is important for people to be educated about these dangerous vaccines and how the government is not protecting them at all but rather protecting the criminal pharmaceutical cartel. We want poor Blacks to have access to this information because it is poor Blacks in particular who are usually the victims and guinea pigs of the Medical Mafia and government corruption. Only a few decades ago, poor, illiterate Black sharecroppers were used as guinea pigs in the barbaric Tuskegee experiment which the CDC was responsible for. Now that same CDC is covering up that vaccines disproportionately harm Blacks. Big Pharma, prostitute politicians, and corrupt govt agencies are now pushing to make vaccines mandatory throughout the country and vaccine mandates will disproportionately hurt and violate the informed consent and rights of Blacks. 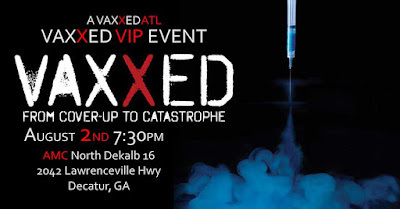 So if you are a low-income Black individual who lives in the Atlanta area who is interested in learning the truth about vaccines and gov't corruption and seeing the film, please email dr.curtisduncan@gmail.com to receive your free tickets. No questions asked and no obligation to receive this offer. Please show up at the AMC theater in Decatur, GA to receive your tickets in person. No more than two tickets can be given per family. Thank you for your interest.